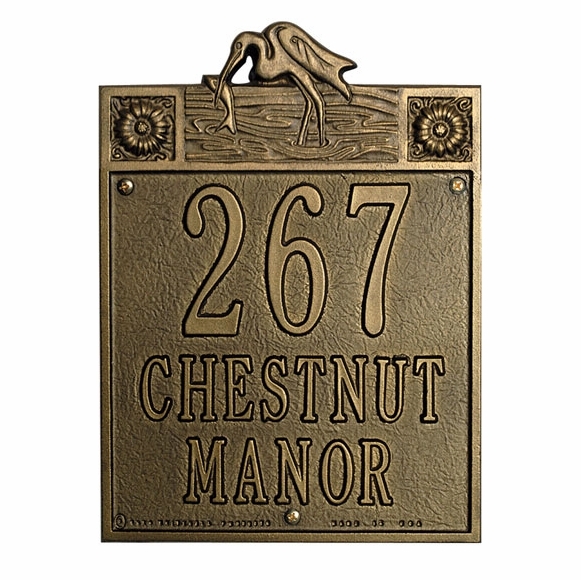 Sheffield Heron Personalized Address Plaque - - stately and decorative address sign features a hungry heron pulling dinner from the lake. Made in USA. Decorative upper panel contains the partially cut-out Sheffield heron and a rosette in each corner, all in raised relief.